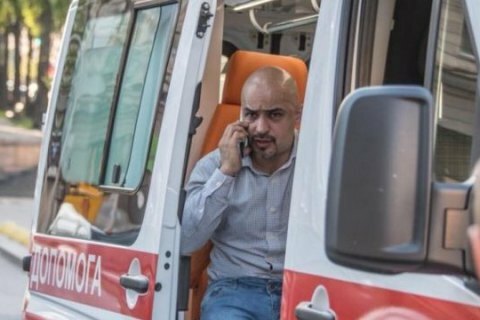 The man flew to Baku three hours after the incident. Azeri law enforcers have detained the fourth person suspected of attacking MP Mustafa Nayyem in central Kyiv on 30 April, Ukrainian Interior Minister Arsen Avakov has said on Facebook. "Kyiv law enforcers put the 29-year-old man, who inflicted bodily injuries on the MP, on a wanted list back on 2 May. Today, on 5 May, Azeri law enforcers detained the suspect on the request of Ukrainian investigators," he said. Extradition procedures have been launched, according to Avakov. "Three participants in the incident have been declared suspects in a group hooligan act. A court has already selected a measure of restraint. The fourth participant booked a plane ticket 20 minutes after the incident and flew to Baku in 2.5-3 hours. He has not been identified by his departure. However he was declared a suspect on several counts in absentia and put on a wanted list," Avakov said in his post. Three participants in the brawl were detained. They were placed under house arrest.